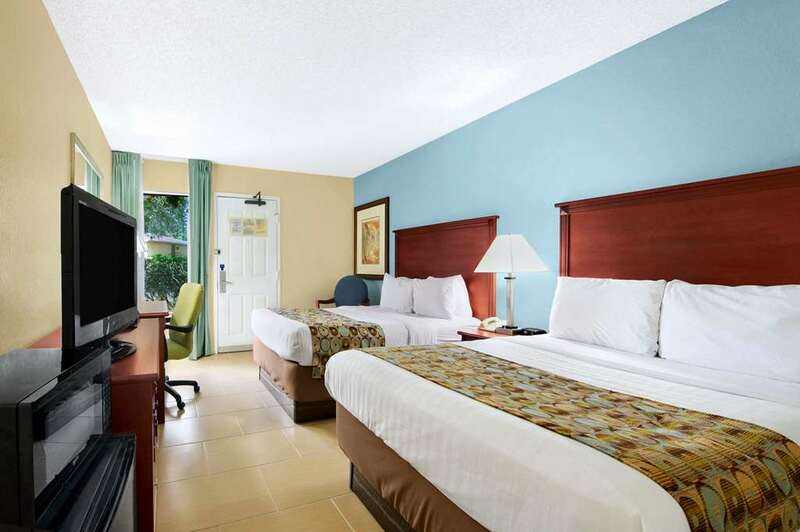 Enjoy the sunny southern hospitality at this Baymont Inn and Suites Gainesville, just off Interstate 75 and convenient to the University of Florida, City College, the Gainesville Raceway, Ben Hill Griffin Stadium, dining and shopping. Pets are welcome and smoking is not allowed at this lodging, which offers complimentary wireless Internet and complimentary breakfast, as well as fitness center, laundry facility and large-vehicle parking. Take care of work details in the business center with meeting space, computer access, and printing, fax and copy service, and when the work is done, relax in the outdoor pool. Rooms feature microwave, refrigerator and flat-screen TV, ideal for longer stays, and there is no charge for kids 17 and under when accompanied by adults.